We meet to worship at 11:00am each Sunday. Our services are an informal mixture of songs, prayer and applied Bible teaching. 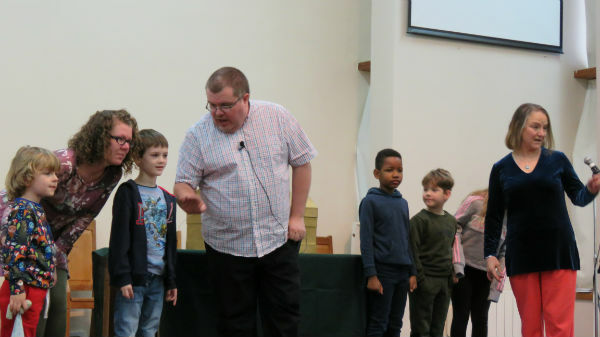 Each service starts with everyone worshipping together and then, on most weeks, the children and young people move on to their own activities. At the end of every service we have a team of people who are available to pray with anyone who would like it, whether for something God has said to them through the service or for a personal need. About once each month (and throughout August) all ages stay together for our worship. These times tend to be livelier and more interactive utilising a variety ways to present God’s truth. On the third Sunday each month we take communion together in the morning service.